Credit Card Processing, Inc. is helping travel merchants realize unlimited business opportunities and profits with the continued expansion of the Internet marketplace, enabling travel merchants with an Internet presence to process online credit card transactions automatically and in real-time, using a secure Web page accessed directly from the travel merchant’s existing Web site. The latest, most sophisticated digital encryption is used to transmit information between the customer’s browser and the Credit Card Processing, Inc. 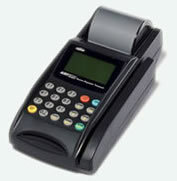 Secure Credit Card Transaction Processing Server. Direct communication lines are used to obtain real-time authorizations from the processor. Plus, travel merchants get the added convenience of having funds directly deposited to their bank account. Secure order forms are tailored to match the design of the travel merchant’s Web pages and automatic e-mail messages are sent to the travel merchant, as well as the cardholder, confirming each transaction. Real-time communication between Credit Card Processing, Inc. and the processor helps ensure the accuracy and validity of each transaction. Address Verification and Card Verification Value (CVV2) Services are performed to reduce the chance of fraud and charge-backs. Open batches are automatically closed daily so travel merchants no longer need to purchase additional software to reconcile their transactions. Merchants can limit the number of times a customer can attempt a transaction, and can configure their Credit Card Processing, Inc. account to accept transactions only if the customers' AVS and CVV2 data was entered correctly. When the travel merchant’s customer is ready to buy, they are linked to the Credit Card Processing, Inc. Secure Payment Information Capture Form on the Credit Card Processing, Inc. Secure Transaction Processing Server. This page matches the design of the travel merchant’s Web page, and the customer is given visual clues of the forms Secure Socket Layer (SSL) encryption. Once the customer submits payment information, the Credit Card Processing, Inc. Transaction Processing Server processes the transaction and gives the customer immediate transaction status - approval, decline or other status indication. If the processor approves the transaction, an e-mail message containing the customer’s mailing information and order summary is sent to both travel merchant and customer. Credit card information is never e-mailed, sold or distributed to third parties. The entire process is simple and convenient to use. 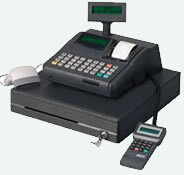 Credit Card Processing, Inc. offers reliable and secure credit card transaction processing services and professional support every step of the way.